Google Chrome is a popular alternative to the default browsers that come pre loaded with your computer such as Internet Explorer and Microsoft Edge. 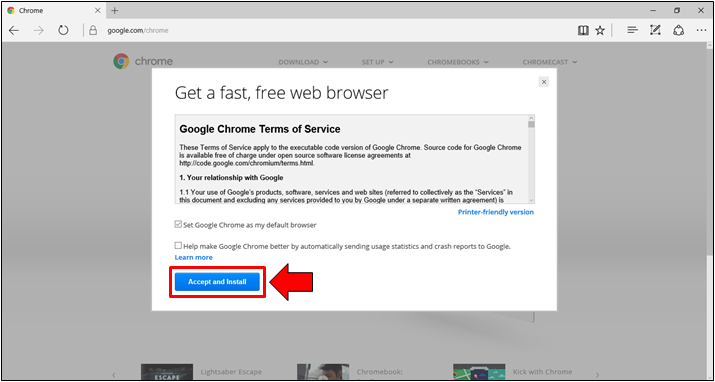 The following sections contain steps on how to install and uninstall the Google Chrome browser. 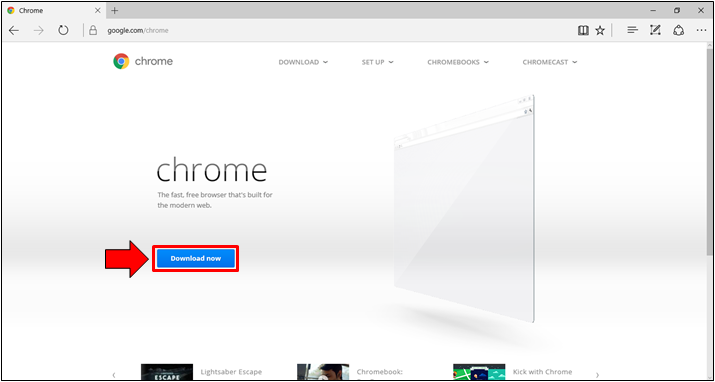 Open your Internet browser and go to the Google Chrome download page. Click the Download Chrome button in the center of the page. Once the download has completed, click Run or on the download itself (usually in the lower-left corner of your browser window). Follow the prompts to install Google Chrome. Press the Windows key, type Control, and then press Enter. Find and select the Google Chrome program in the list. Click the Uninstall option above the list of programs. Follow the prompts to uninstall the Chrome browser. If you are reading this blog right now then we assume that your computer is currently connected to the Internet and you don’t have Google Chrome installed on it yet so in order to install Google Chrome for the first time, you will need to make sure that your machine has access to the Internet. Once it is connected, you will need to head to your favorite browser, open Google search by typing in “google.com” into your browser’s URL input box on top and once the Google search page opens, simply type in “Google Chrome download”. 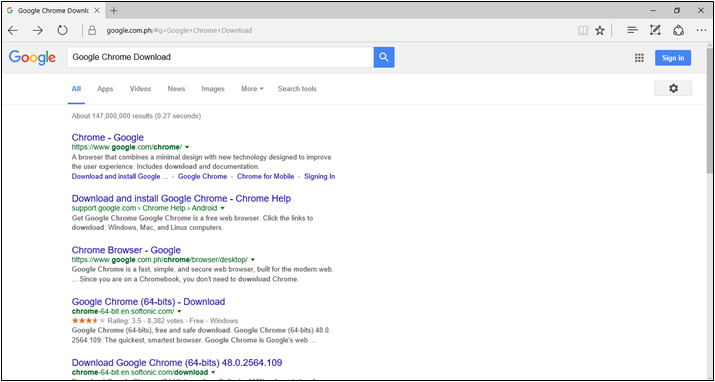 Once the search results appears, simply click on the first one that is displayed on the list and you will automatically be taken to the Google Chrome download webpage which looks exactly like the one shown below. From the Google Chrome download page, you will simply need to click on the button that says “Download now” and a another Window will open which contains the “Google Chrome Terms of Service” statement. From here, you will also see 2 checkboxes at the bottom. The first one asks you to make Google Chrome your default browser while the second one asks if you want to help make Google Chrome better by sending usage statistics and crash reports. You can check both of these options or just leave them unchecked then hit the “Accept and Install” button found at the bottom as highlighted on the screenshot below. 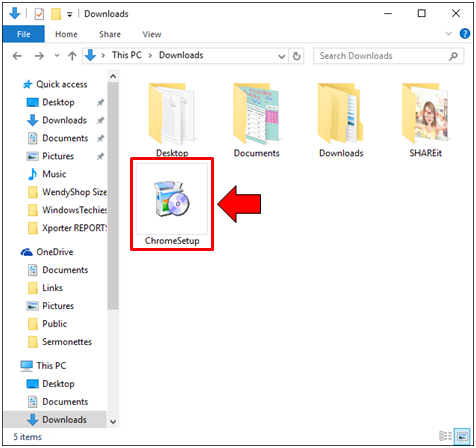 After doing so, the Google Chrome Online Setup file will be downloaded and once the download completes, you will simply need to head towards your computer’s “Downloads”library and look for the downloaded file that says “ChromeSetup” in there. The file should look like the one shown below. Just double-click on this file and follow the instructions in order to run it. 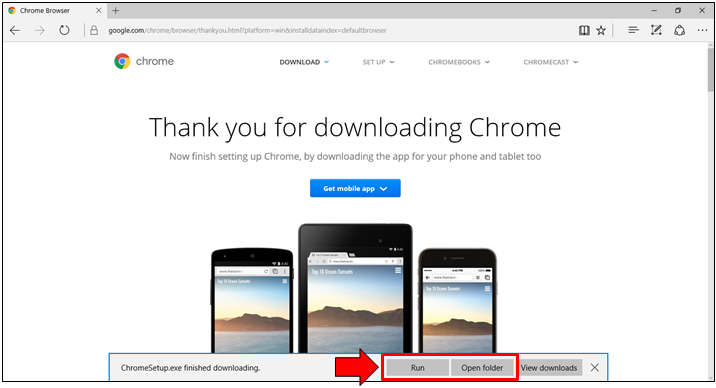 If you used Microsoft Edge (Windows 10’s brand new built-in browser) in downloading the Google Chrome setup file then you can simply click on the “Run” button that would appear at the bottom after the file is downloaded in order to automatically run the installer or click on the “Open folder” button if you want to open the Downloads library and click the setup file from there. After the setup file is run, a “User Account Control” Window will appear and from here, all you need to do is click on the “Yes” button. 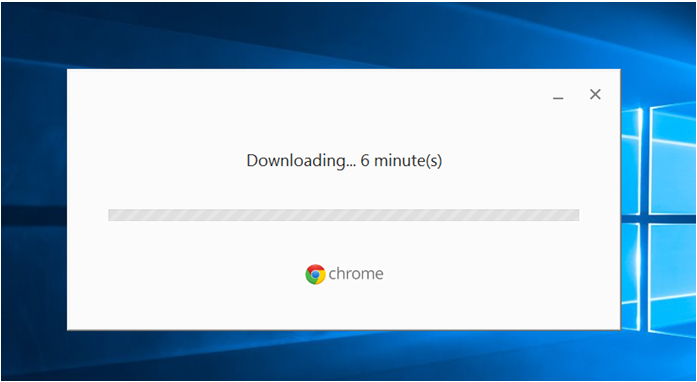 After hitting “Yes”, Google Chrome online setup will then be downloaded and all you need to do is wait for the browser to be completely downloaded and installed. Nothing else is left for you to do after running the setup file because the installer will handle everything for you. Once Google Chrome gets installed, you will be asked to login to it using your Google account. If you don’t have one yet then you can simply sign up for a new account and use it to login to Google Chrome. Logging in will help sync your browsing history, bookmarks and many other stuff to all your device where you’ve logged in using your Google Account such as your android tablet or smartphone.